English girths come in many different shapes, materials and lengths. If you're standing in front of a large display you can easily be left scratching your head trying to pick the one that is right for you and your horse. Here are some tips to help you make the best choice. There are two very basic styles of English girths to choose from, and these are designed to accommodate the length of the billet straps on your saddle. 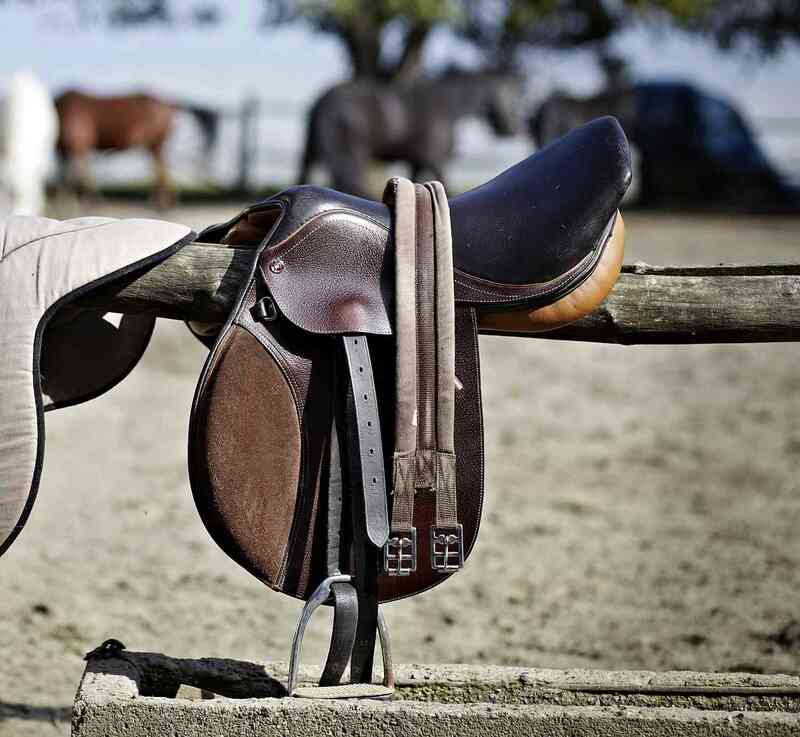 If you have a dressage saddle, you'll likely have very long billet straps that extend beyond the bottom of the flaps. This is so the girth buckles don't end up under your leg and interfere with your leg aids. The girth you'll need for this type of saddle is very short. 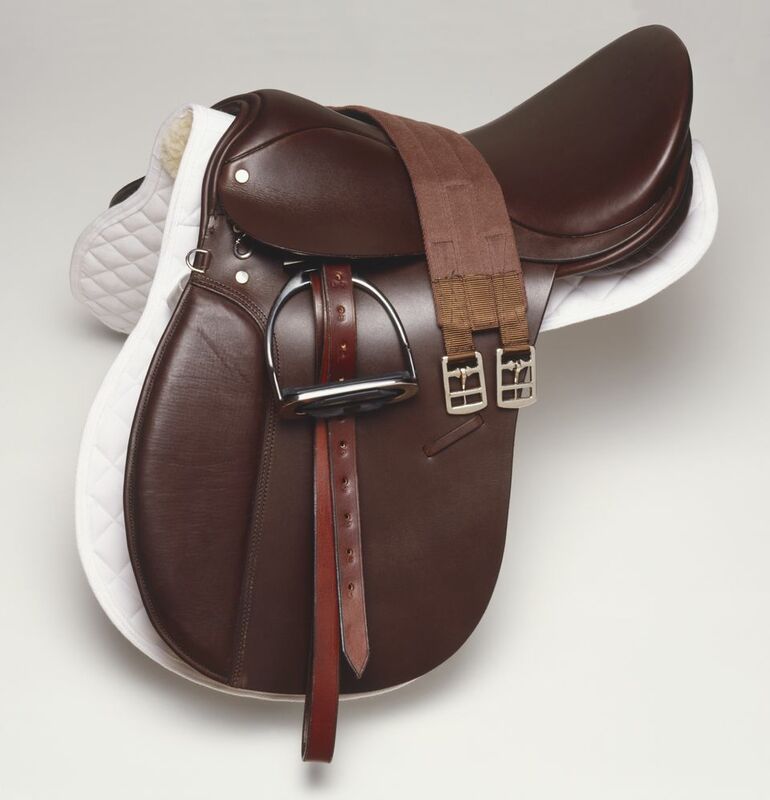 If you have a forward seat, all purpose, close contact or almost any other variation of an English saddle, the billet straps are much shorter and likely don't extend beyond the bottom of the flaps. For these types of saddles, you'll likely need a much longer girth. This will allow the girth to reach the short billet straps on these types of saddles. Both types of girths will have rings or D-rings positioned on them, and whether you need these or not will depend on the other tack you put on your horse—such as martingales or over-girths. Whether you need a dressage or regular length girth for your saddle, you'll find they come in a variety of materials as well. Deciding on the material your girth is made from is a matter of preference. Good quality leather girths are the most expensive, and with proper care can last a very long time. You'll also find girths made of cotton or synthetic string, neoprene, webbing and felt, and other high tech materials. These have their pros and cons. English girths may also have strong elastic that attaches the buckles to the girth on one or both ends. This elastic tends to wear out over time (it is replaceable on good quality girths), but can be more comfortable for the horse. Unfortunately, there's no way to find out if you have the right girth for your horse until you try it out. You might find synthetic girths cause galls. Some may hold heat or irritate some horse's skin, but most are comfortable and easy to clean. Or you might find leather girths not quite right and a string girth works the best. Or, you might find quite the opposite. It takes a bit of trial and error to find the right one. Synthetic girths can come in materials that are constructed similarly to leather girths, but tend to be less expensive and easily cared for. They may not last as long as a good quality leather girth, but if you need several different girths to accommodate different horses, a selection of synthetic girths in your tack room may be the way to go. You may also find synthetic girths lined with synthetic fleece, gel, or with sheepskin. Also called 'chaffeless', these girths are shaped so that the width behind the horse's elbow is narrower. The Balding is one piece of leather that has been cut into three strands, with the two outer strands criss-crossed almost like a braid. The Atherstone is a leather girth that is shaped similarly, but is all one piece, or may have a single strap to which a thicker, shaped and padded length of leather is sewn. Shaped girths may have elastic ends. Leather girths are often one width of leather folded over three times so that the cut edge of the leather isn't against the horse's skin. The exposed cut edge is the outside of the girth. There may by an elastic or webbing insert inside the girth, or the girth may be entirely of heavy leather. Shown is a leather dressage girth. Jumping girths have large oval panels in the center that prevent the horse from hitting its belly with its forefeet when jumping. They are also called belly guard girths. I know of trail riders who use these girths because they feel it distributes the pressure over a wider area than a regular girth. I think it's a bit of over kill and may hold heat as well. They're also the priciest girths, simply because of the materials and construction. String girths are made of lengths of multiple strings and may be cotton, mohair, wool or nylon. They are cool because they dry quickly and allow air flow. While they maybe comfortable for some horses, others may be pinched and chaffed by the strings—leaving painful girth galls. However, these girths don't slip as easily as other types of girths, and for some horses they may be just the thing. All can be washed easily, although only synthetic string girths can be washed in a washing machine. Just don't bleach a nylon girth—it will be permanently yellowed. Nylon string girths tend to get quite 'brittle' feeling with use. The girth pictured here is a brown mohair girth.